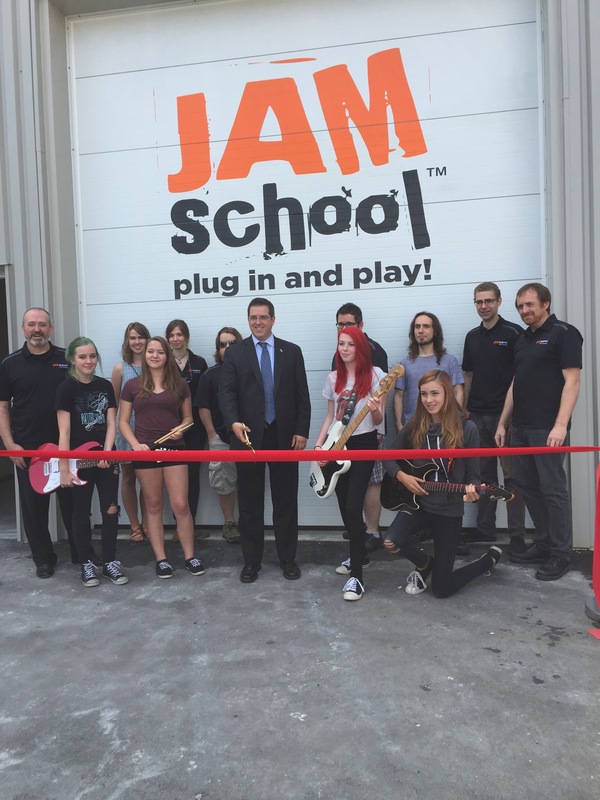 #Guelph’s @JamSchool moves to new location in Hanlon Creek Business Park! And it Rocks! 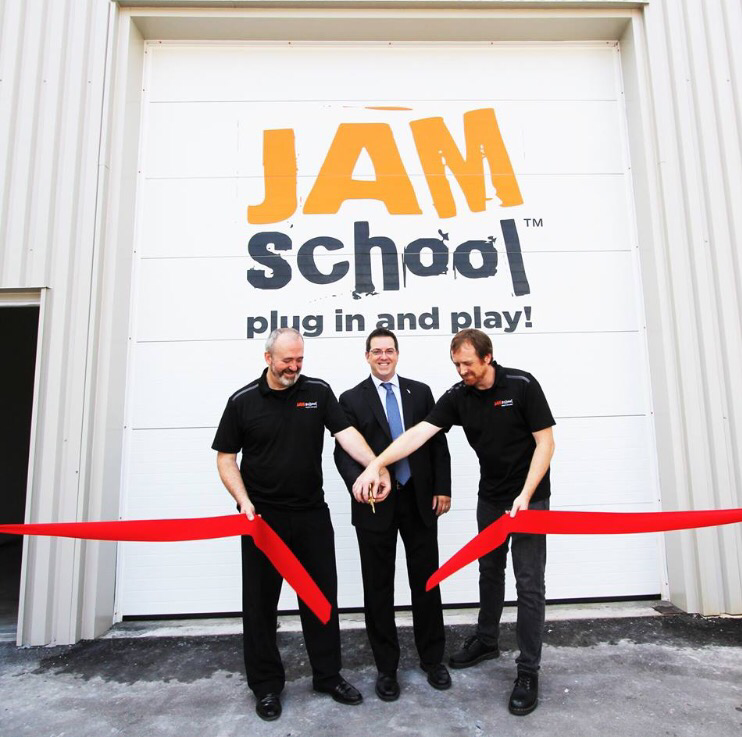 Jam School rocked its way to a new location last week in the south end of Guelph! 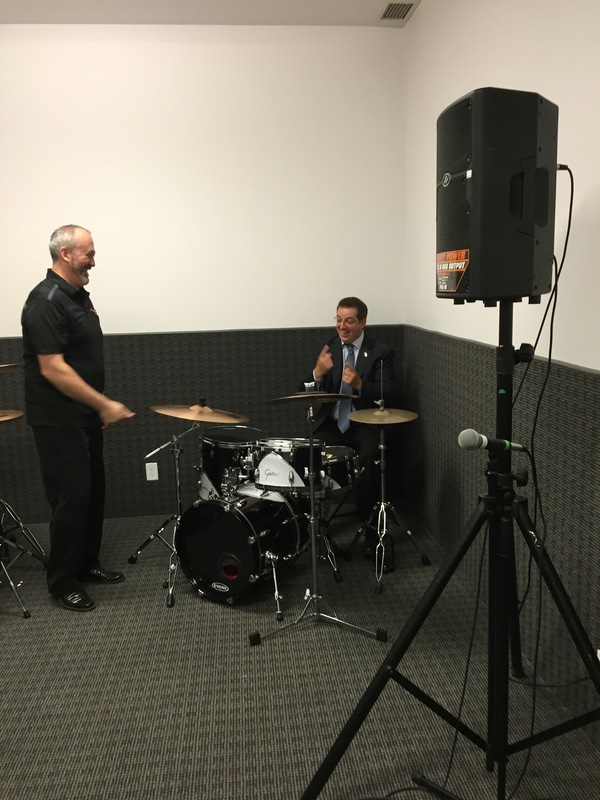 I was honoured to be asked to cut the ribbon welcoming them to the the Hanlon Creek Business Park. Above is Rob Leader & Dan Drysdale! This location boasts 5000 square feet! Not just teaching rooms it also has performance space and a nice area for parents to hang out while awaiting their kids to be done lessons. Of course there’s lots of adults who take lessons too, so their kids can wait for them in the same room as well! Ha! 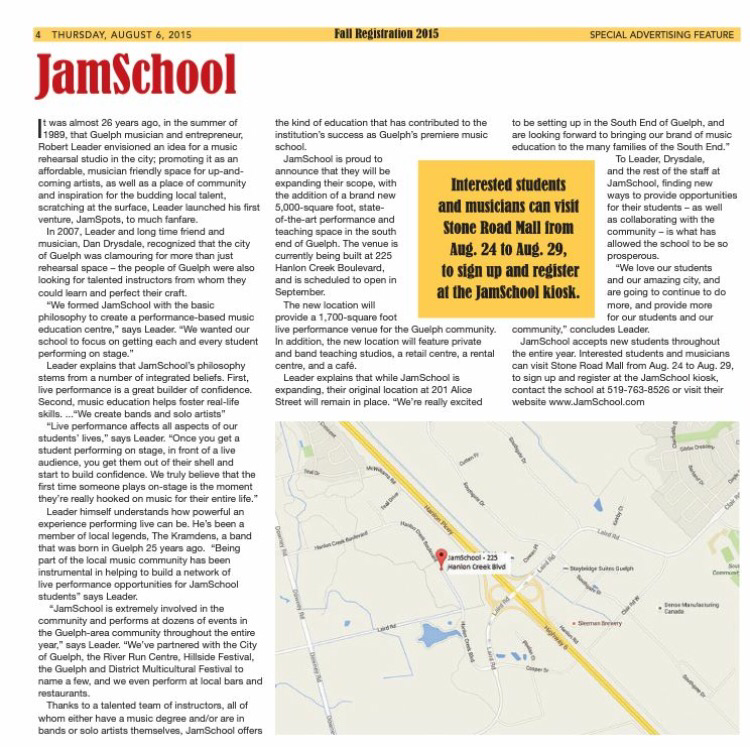 Their Alice Street location will remain as a school as well. 2 locations! Do I hear 3? This new location is at 225 Hanlon Creek Blvd. Go check them out! ← South End of #Guelph Has A New Pharmacy & Medical Walk-In Clinic!